I can't believe that two years ago I would not be caught dead in red. I felt like it made me look to "old". Now that I reflect back, I think I was wearing the wrong shades. Since you all asked for my favorites I will start highlighting them. Maybe I will inspire someone to go out and buy their first red lipstick. 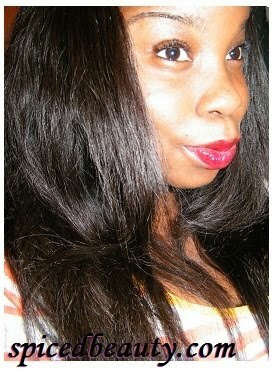 Let's get started with one of my favorites Maybelline Super Stay 10 Hour Stain Gloss in Refreshing Red! The Maybelline Super Stay 10 Hour stain glosses comes in 10 different shades. Ranging from brown to red. 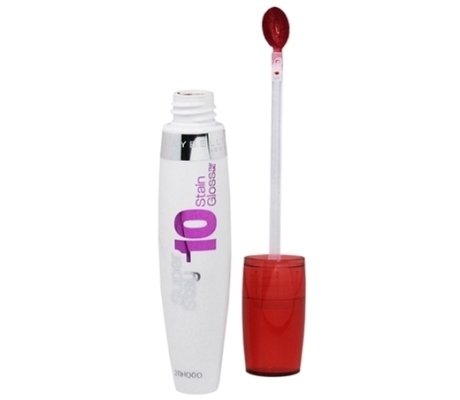 The finish is very different compared to your typical lip stains because they are moisturizing and glossy. Great for anyone who wants to try to find their perfect red because they are buildable. Think about it this way: One swipe of color suitable for the office. While three swipes of color is suitable for a night out. In this picture I was wearing three wipes of color. The formula is very light and has a pleasant smell. Overall this Stain Gloss is at the top of my list because of its versatility. You can eat, drink, talk you head off and the stain will still be there once the gloss is off. Perfect for someone like me who has to run to meetings and often forgets to apply before I go. Are you feeling this red? Glad youre loving the red lip! More woc should be sporting this its gorgeous! ooh I've always been curious about these lip stains! The red looks good on you! I'm definitely feelingt his red on you Jen! Love it! Beautiful!